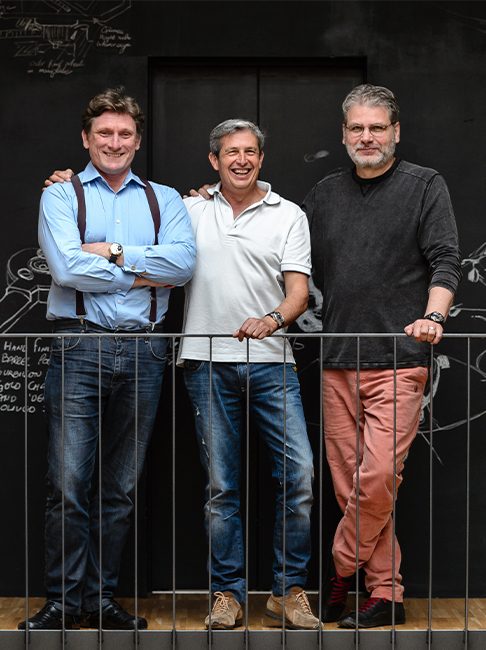 When Robert Greubel and Stephen Forsey teamed up and launched Greubel Forsey in 2004 in La Chaux-de-Fonds (Switzerland), they shared a common view that there was still room for creativity in the development of complications in watchmaking. Their goal was to improve the performance of existing complications but also to invent innovative mechanisms. Over the years, they have honed their creative approach to fine watchmaking. 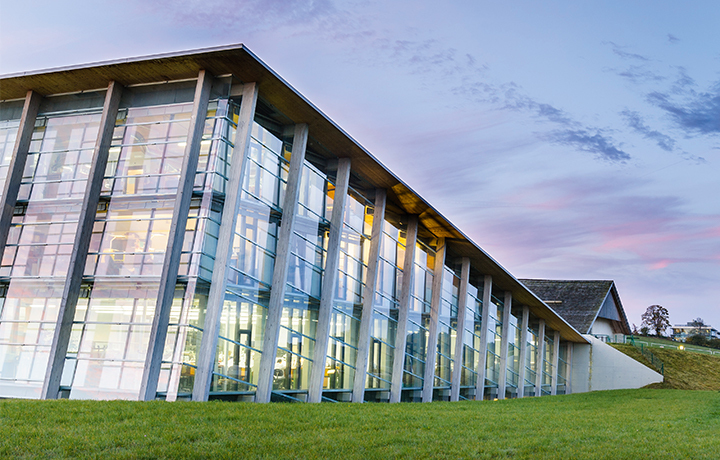 The technical and aesthetic aspects complement one another, giving rise to bold creations. Greubel Forsey creations have been honoured with many prizes and are presented each year at the Salon International de la Haute Horlogerie (SIHH) in Geneva, which brings together some of the most prestigious watchmaking brands. Robert Greubel and Stephen Forsey create around one hundred timepieces each year – which speaks volumes about the quality of their workmanship and attention to detail. Over the years, our means of expression has become established as a natural movement. We have become aware that our philosophy and areas of interest extend beyond the realm of watchmaking. Our modus operandi has always led us to carve out our own path, to never depend on the traditional laws of markets and marketing, and to embrace a quest for excellence and irrepressible need to create and achieve a high standard of craftsmanship. These methods enable us to exceed the limits of what is possible on a daily basis. 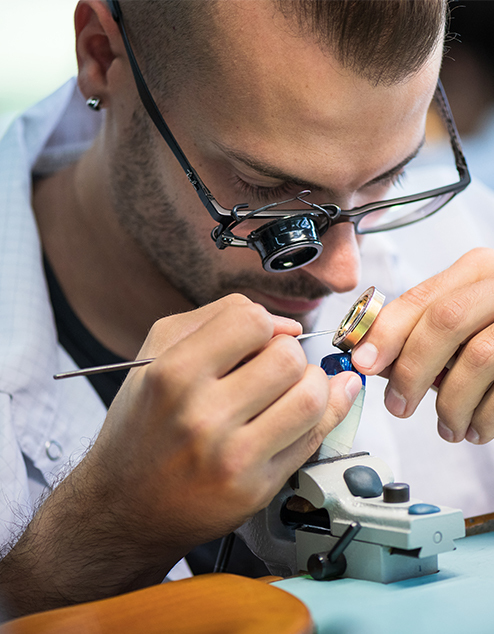 For us, creation is inseparable from the day-to-day reality of watchmaking that we live and breathe. The symbiosis of highly technical and artistic elements is a cornerstone of Greubel Forsey, and all of our creations inevitably arise from this hybridisation. To date, six of our seven inventions have found concrete applications: the Double Tourbillon 30°, the Quadruple Tourbillon, the Tourbillon 24 Secondes, the Double Balancier, the Mechanical Computer and the Différentiel d’Égalité. Our daily mantra is to preserve our creative spirit, to continue to surprise, and to aim for excellence, now and forever. Robert Greubel and Stephen Forsey have been pushing the limits of fine watchmaking for many years now, tackling the challenges of complexity every day. And yet, after the Double Tourbillon 30°, the Quadruple Tourbillon, the Tourbillon 24 Secondes and many other bold complications like the Grande Sonnerie, the “Balancier” was self-evident. 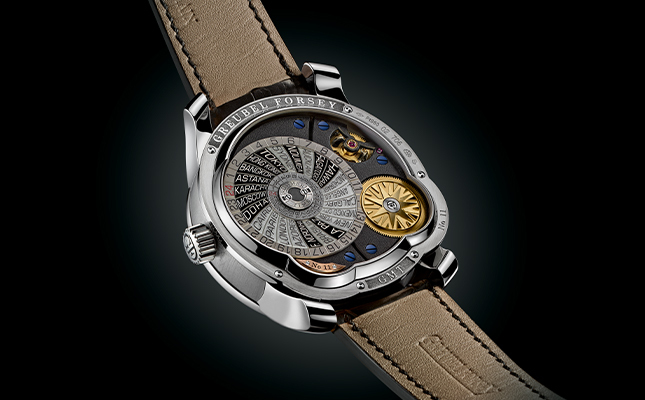 Greubel Forsey was bound one day to create a timepiece of great purity, featuring a unique and original balance wheel. Their creativity is immediately evident in the asymmetry of its case, which has almost become a constant of Greubel Forsey’s universe. 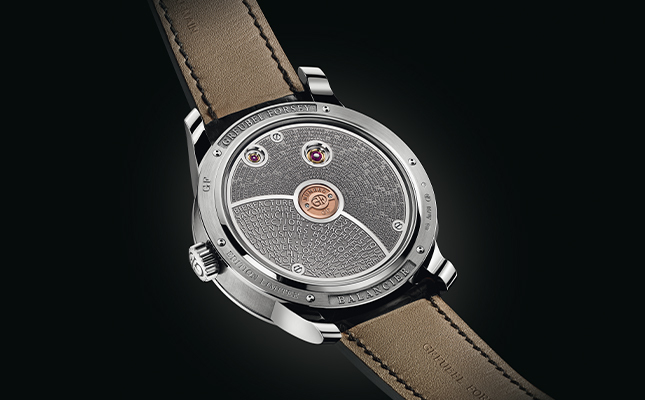 Every detail of the “Balancier” carries the unmistakable stamp of a true Greubel Forsey timepiece – the watchmaking Maison’s values are manifest in the refinement and purity of its lines and dial, the inventive architecture of its balance wheel, the sharp profile of its hands, and the engraving on the reverse of the timepiece. The watchmakers’ inventiveness is strongly in evidence in the new balance wheel. It was entirely developed and made at the Atelier, with its six gold mean-time screws, and it boasts remarkable aerodynamic qualities. True to their philosophy and continuous quest for perfection and innovation, Greubel Forsey have gone way beyond the conventional means of displaying a second time zone. The GMT features a wonderful, three-dimensional temporal representation: A rotating terrestrial globe offering a truly original view of time all over the world. This technical yet poetic marvel provides us with a completely new way of perceiving the different time zones. The specially developed movement of the GMT features the 25° inclined Tourbillon 24 Secondes cage, one of Greubel Forsey’s major patented inventions. In addition to its superb chronometric virtues and reliability, its compact size allows space for the other complications. 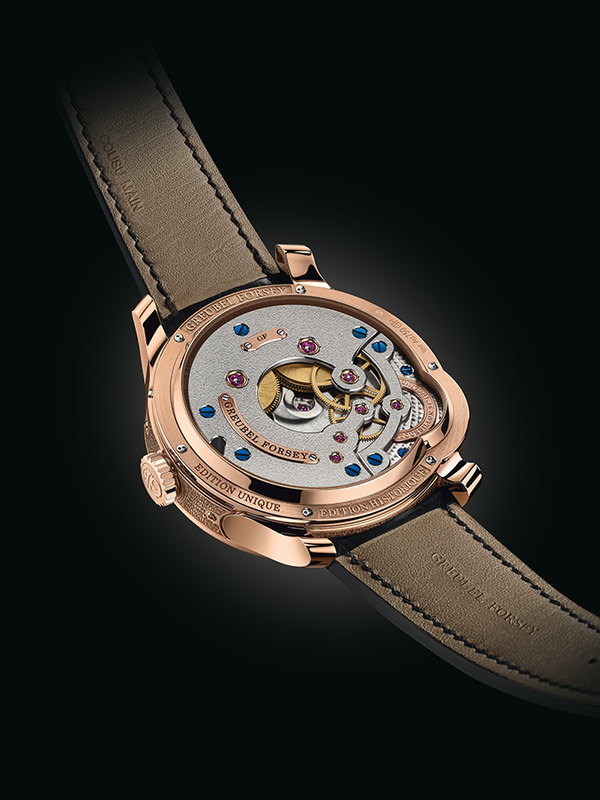 Spatially, the combination of elements on the dial-side is perfectly balanced, with a striking sense of depth offered by the globe and by the Tourbillon 24 Secondes at 5 o’clock which together form a triple asymmetry giving rise to a controlled tension that plays subtly with the circularity of the case, while never totally rupturing it. There are three versions of the Tourbillon 24 Secondes to date: the Asymétrique, Contemporain and Vision models. Greubel Forsey has decided to pay homage to the first of these three versions, the “Tourbillon 24 Secondes Asymétrique”, by creating a Unique edition: the Tourbillon 24 Secondes Edition Historique. For this timepiece, the architecture of the dial was entirely reinterpreted and redesigned with a 3D engraved text that reveals the Greubel Forsey philosophy. The sectoral seconds and power reserve displays have also been redesigned. These two display systems have never before been featured in a Tourbillon 24 Secondes timepiece. The Asymétrique was the model that made it possible to incorporate the Tourbillon 24 Secondes – Greubel Forsey’s third Fundamental Invention, visible at 8 o’clock – into a timepiece for the first time. Following on from the Double Tourbillon 30° Edition Historique unveiled in 2010, this is the second time that a Greubel Forsey timepiece has been honored as an Edition Historique, marking an end to a collection.